Newitts Numbered Training Sports Bibs 40 Pack are fantastic value for money. An essential for training. 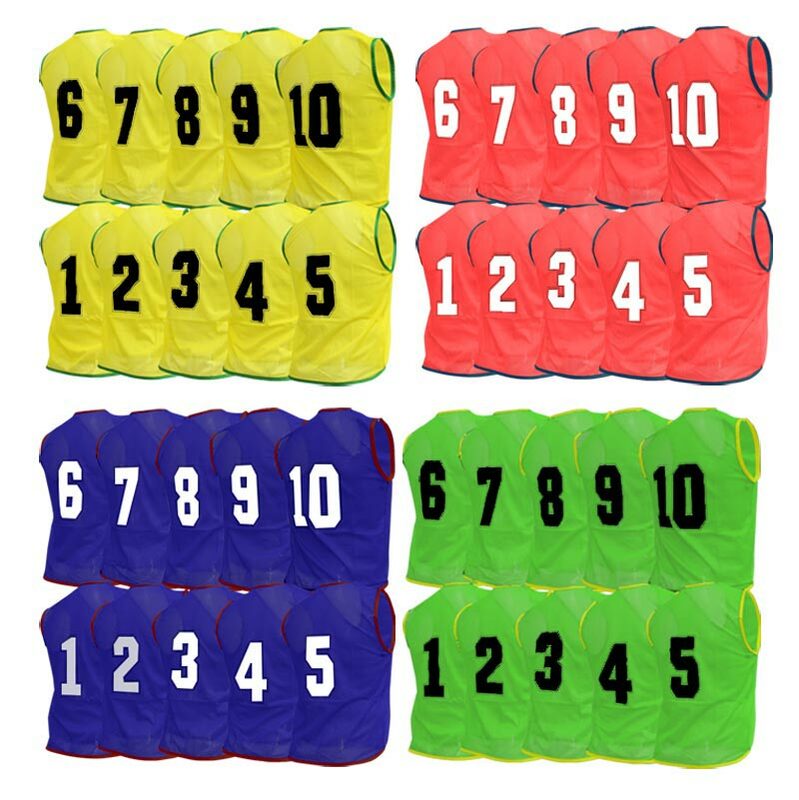 Green and Yellow bibs have Black printing – numbers and logo; Red and Navy bibs have White printing - numbers and logo. These bibs were ordered to aid the selection process from large coaching groups into more manageable numbers at similar levels. Very pleased with how appropriate the sizes were and also the clarity of the numbers. The bibs were excellent, a real good quality and the staff at Newitts were exceptionally helpful, I ordered the wrong size bibs originally and they couldn't have been more helpful dealing with my request to change them. I will buy all my Football equipment for the England 6 a side team from Newiits in future. Great value, good to have numbered bibs as makes some drills easier.